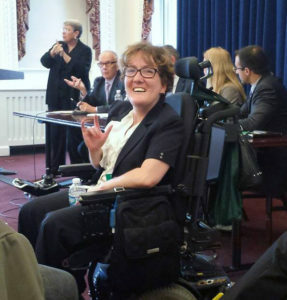 As an individual with disabilities, I have experienced challenges during my educational career. I experienced many ups and downs, and there were tribulations that I needed to overcome. In some instances, I was refused reasonable accommodations, such as an aide for my physical needs, note takers, interpreters, and other support services. These types of services were crucial for my success in school. Because the school denied me full accessibility in the classroom, every night, I would spend hours with my mother tutoring me just to complete my homework. This went on for a couple of years before I realized that I had to stand up for myself. At the young age of nine, when I attended a meeting to go over my individualized educational plan, I had to learn to stand up for myself for the first time. I told them that I was not being treated equally and requested equal access to my education. Are you struggling to find ways to incorporate youth transition into your Center’s programs? Have you found a set of youth transition practices that work well, that you would be willing to share with other Centers for Independent Living? If you believe in the capacity of young people with disabilities and want to learn more about best practices, or if you would like to share your wisdom, then consider joining the NCIL Youth Transitions Coordinators Email List. You need not be a Youth Transitions Coordinator by title to join the list; anyone who works with or would like to learn more about working with youth is welcome. Sign-Up for NCIL’s Youth Transitions Email List. If you have any questions, please contact Hindley Williams, Youth Transitions Fellow, at hindley@ncil.org. Increasingly, agencies and organizations that serve youth and young adults are seeking to partner with young people as they work to make their services more engaging and responsive. However, agencies often lack information about best practices for involving young people in these efforts. This webinar will describe the development and validation of the Youth/Young Adult Voice at the Agency Level (Y-VAL) assessment. The Y-VAL is intended to serve both as a guide to best practices and as a measure of the extent to which an agency is meaningfully supporting young people’s involvement in advising and decision making. The National Disability Mentoring Coalition has co-launched the USDA Disability Mentoring Toolkit and published a new White Paper. Additionally, NDMC encourages you to view their webinar on Critical Mentoring, which aims to change how you approach mentoring and discovery of root causes. The Ability Center of Greater Toledo has all kinds of programs to help people living with disabilities. One of them is called the Next Steps Summer Program. It’s designed to help prepare students for college and the workplace, and the program has had a big impact on the students who are part of it. The students are living on campus at The University of Toledo as part of the program. They are also working at several organizations and companies around the community. The students say this has been a life-changing experience. Mallory Tarr is the Marketing Coordinator at The Ability Center,”The goal is to prepare them for the next step after high school whether that be post-secondary training or going to college. Whatever it is they want to do, we want to give them the tools and the steps to get there.” Read the full story at 13abc Action News. Deadline Extended: 2017 Youth Transitions Fellowship – Apply By May 29! The HSC Foundation, in partnership with the National Council on Independent Living (NCIL), is now accepting applications for a paid fellowship position with the organizations’ disability youth transition and collaboration work. This fellowship is ideal for a person with a disability who has an interest in youth career transitions and employment solutions. The fellowship starts in June 2017, and continues for 12 months. Under the supervision of NCIL’s Operations Director, the Youth Transitions Fellow (YTF) will gain exposure to youth programs serving people with disabilities and will have the opportunity to facilitate collaboration among internship, fellowship, and apprenticeship programs based in the Greater Washington, DC area. Strong interest in youth transition for people with disabilities and organizing. IDEA requires that disabled students be provided a free and appropriate public education (FAPE). Reinforced by the 1982 U.S. Supreme Court Rowley decision, the requirement for students with disabilities has been that schools provide for educational benefit “merely more than de minimis,” or just above insignificant. This low threshold for FAPE has resulted in weak standards for students with disabilities for decades, including Individualized Education Program (IEP) accommodation denials. YO! Disabled and Proud Blog Seeks 2017 Submissions! Are you interested in writing for YO! Blog? YO! Disabled and Proud is looking for contributors to share their experiences on several topics viewed through the lens of disability for our blog such as: Leadership & Empowerment, Anti-Bullying, Disability History and Education, Healthcare and Fighting the Medical Model, and Intersectional Issues. The only requirements are that writers identify as a person with a disability and are between the ages of 16 and 28. Check out the topics they’re seeking submissions for, as well as the Guidelines for YO! Blog Guest Writers at yodisabledproud.org/blog/blog-post-topics. The theme for NCIL’s 2017 Annual Conference is Revolution: A Global Independent Living Movement. Pledge to financially sponsor 2 young people in your local area to attend the NCIL Conference. Pledge to financially sponsor 2 young professionals on your staff to attend the NCIL Conference. Contribute towards the Youth Scholarship Fund that will bring young people from across the country to the NCIL Conference. Your donation will support plane tickets, hotel accommodations, personal assistance services, and registration costs for attendees. With your help, we can bring youth with disabilities to the 2017 NCIL Conference and ensure that youth leadership will grow and flourish in the Disability Rights Movement. Together we can ensure that young people with disabilities are empowered, engaged, and ready to lead.